We're no strangers to mustaches around here-- see our funny lil' man party and cowboy party. 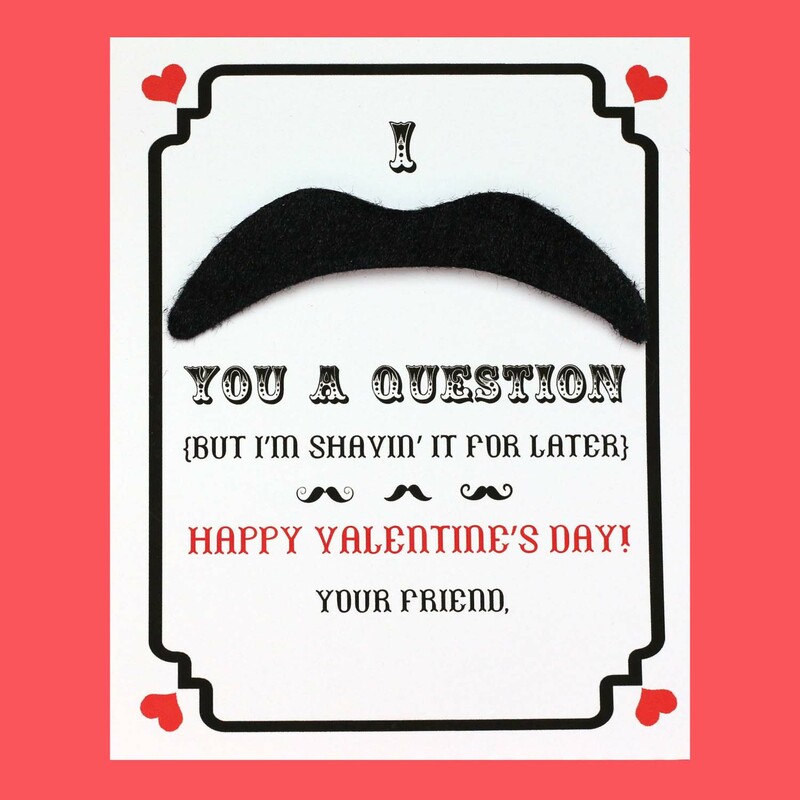 Since they are fun and also a sugar-free option, I thought we'd incorporate them into my 7-year old's class Valentine's Day cards. I made a couple of versions. 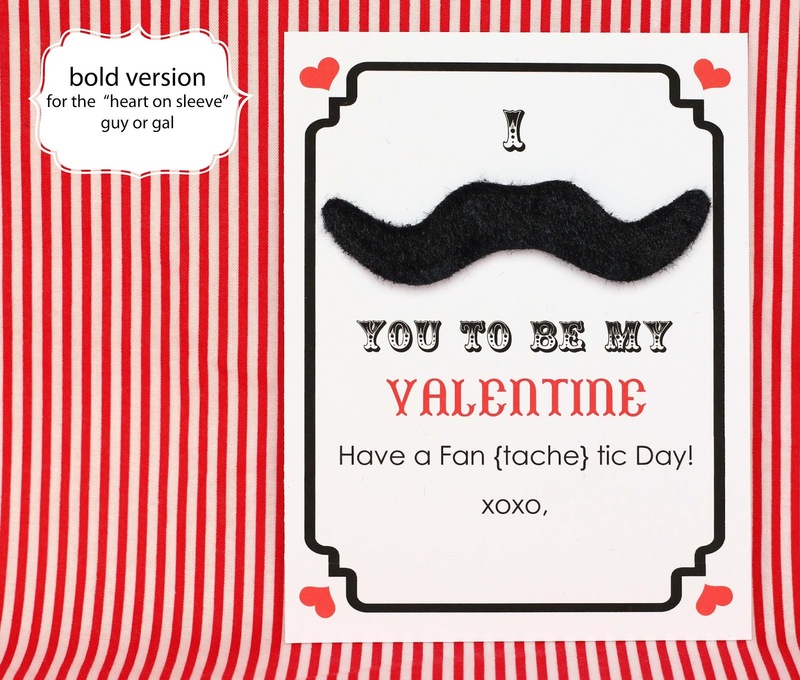 1) Print out template of your choice-- bold or savvy. Cut out the cards. I used a paper cutter. 2) Then unpack the fake mustaches and leave on the backing. 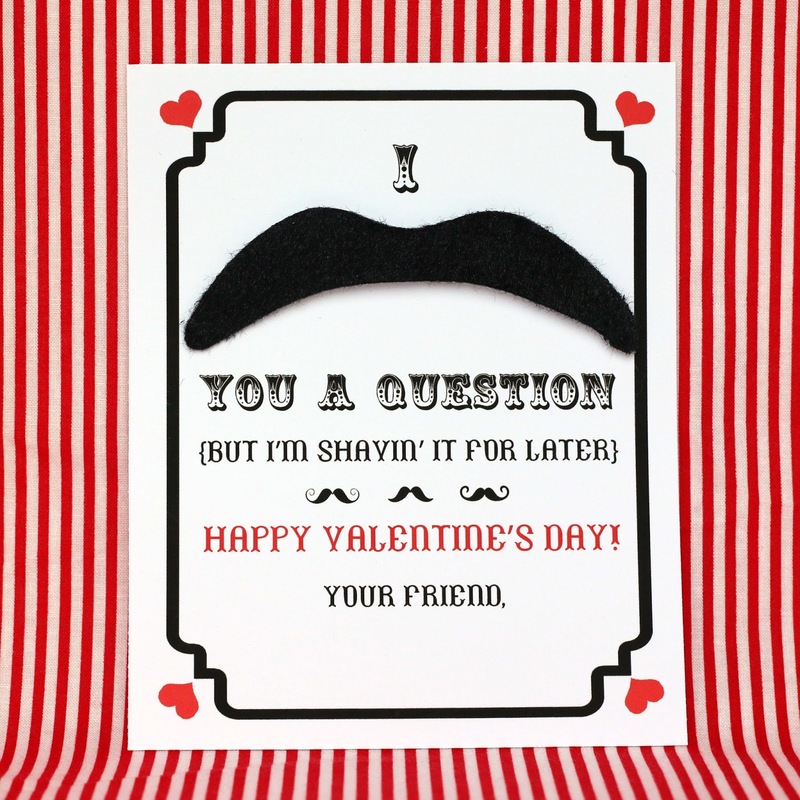 Place a glue dot on the back of the mustache and adhere it to the card. This will give the mustache a little 3-D action, if you know what I mean. 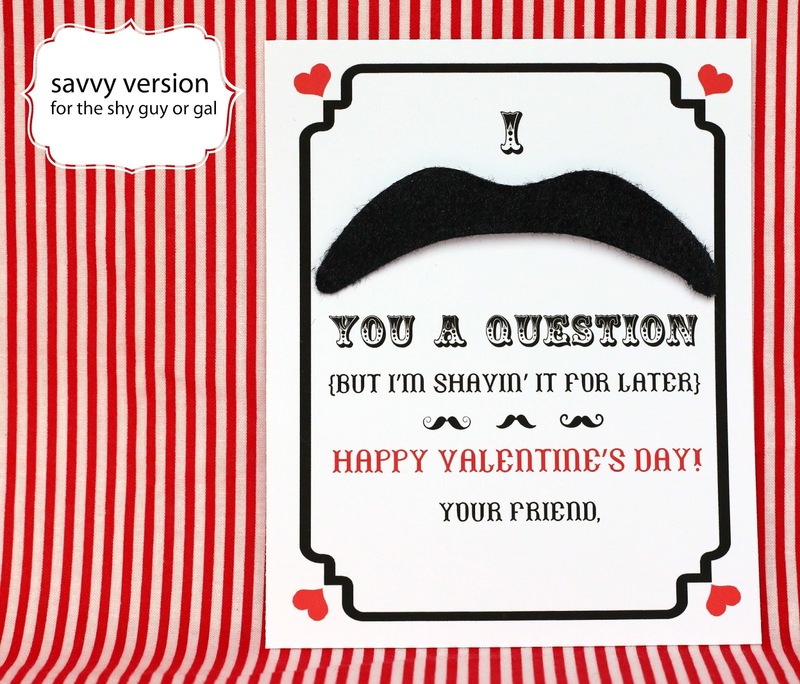 The kids can then peel off the backing from the mustache and… Let the fun begin! 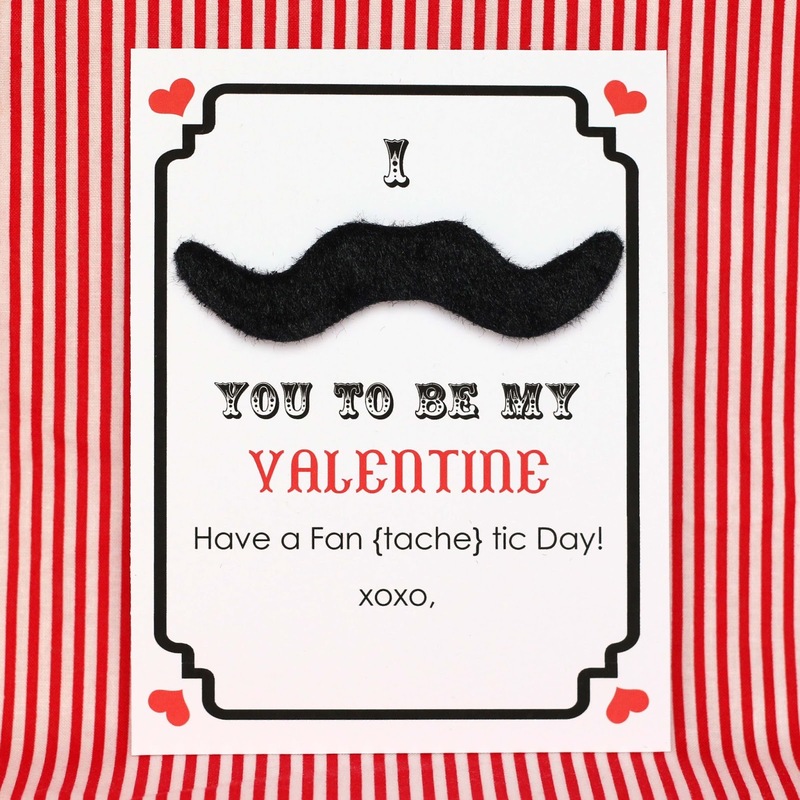 My five year old said "NO" to the mustaches, so I made something entirely different for his class Valentine's. I'll be sharing the printable later this week!